The Russian opposition and public activists have united in a new protest movement. 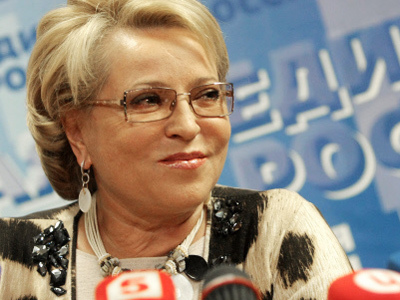 Their aim is to convince people to vote against all the candidates in the parliamentary elections – in other words, to spoil the voting ballots. 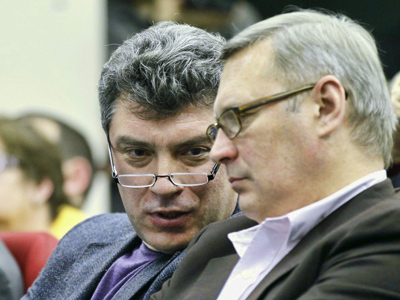 The organizing committee of the so-called “nontrivial group of citizens” is headed by Boris Nemtsov, a co-chairman of the unregistered Party of People’s Freedom (Parnas), writes Kommersant daily. The aim of the new movement is to explain to the people that the upcoming December 4 State Duma elections are nothing but a “farce and fraud,” the politician said. The project participants are going to launch a campaign calling on people to come to the polling stations, cross out all of the candidates and write, for example, “down with the pilferers and thieves!” The internet will be used as the primary medium of the campaign.. 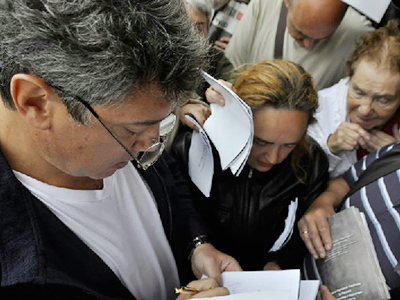 According to Nemtsov, the aim of the group – a notional party “Against All” – is to overcome the 7-percent election threshold (the minimum that is currently required for a political party to make it into the lower house). The most ambitious task is to get 40 percent of the “vote”, thus making the election results invalid. 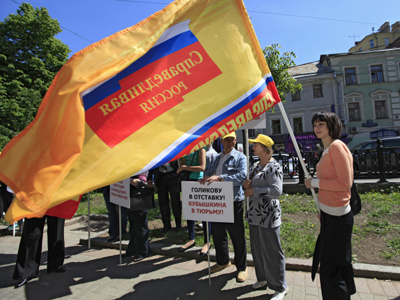 In 2006, when the ruling United Russia party’s idea to remove the “against all” protest vote was instituted, Russians have not been able to say “no” to all of the candidates. The only two options left were either to ignore the vote or to cast stray ballots. 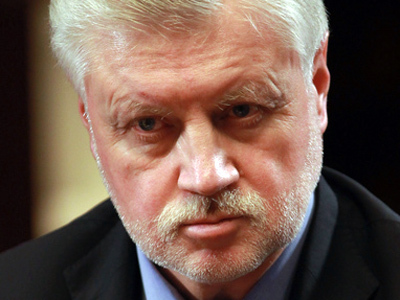 The protest group that is fighting for fair elections has been joined by a number of prominent journalists, public activists and lawyers.The leader of the movement In Defense of the Khimki Forest, Evgeniya Chirikova, a sister of the jailed former Yukos Mikhail Khodorkovsky, and well-known writers and critics of the current regime, Dmitry Bykov and Viktor Shenderovich, are included among their ranks.On Sunday, the movement held a pow-wow to decide on their future strategy and discuss the current political climate. “Harsh irony would be the most adequate reaction to what we can expect on December 4,” the satirist Shenderovish told Kommersant. That is why, he said, the movement picked up a harshly-ironic name: “NaKH-NaKH: Vote against all”. In the beginning, the authors apparently combined the “Three Little Pigs” (Nif-Nif, Naf-Naf and Nuf-Nuf) fairy tale with a mild version of a very rude Russian expression which is used when one wants to say in the strongest terms possible that something is not needed. In addition, the Cyrillic “kh” is spelled as “x”, which is also a sign the organizers want people to use on the voting ballots. “Taking part in a fun and exciting movement is better than staying at home grumbling that there is no choice,” Shenderovich believes. He added that the movement’s organizers are confident that there are millions of people who “despise” the ruling regime and “don’t give a damn about the election”. The only trick is to wake them up. The “nakh-nakh” initiative is certainly not lacking in creativity or irony, but is unlikely to be supported by a large part of the population. However, one of the aims – to make people laugh – has already been achieved. That being said, when it comes to the internet, it is mainly the opposition that the people are laughing at. 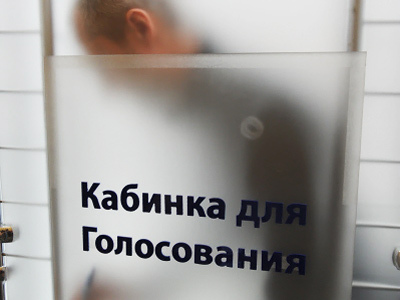 “For the first time in Russian history, the “opposition” is calling itself by such a name that is reflective of what society actually thinks about them,” a member of the Parnas party, Igor Drandin wrote, as cited by pravda.ru. 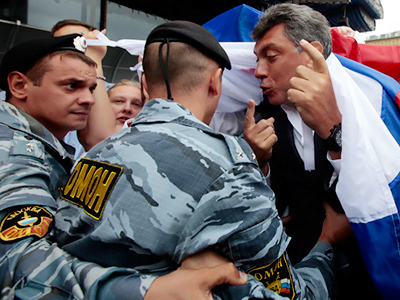 In June, Russia’s Ministry of Justice refused to register Nemtsov’s Parnas party for serious procedural violations, including listing minors and the dead amongst its members. The party appealed the decision, but a Moscow court ruled on Monday that the ministry’s decision was legal. Now the parties’ chances to take part in the December vote are close to zero. In any case, various polls show that the party would not be able to overcome the required threshold. In recent years, members of the opposition have repeatedly been embroiled in one scandal after another as they went through just as many attempts at rebranding their image.But for all of their efforts, they have never managed to come up with a clear and balanced program that could make voters take them seriously. 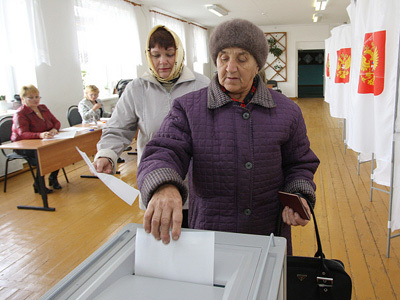 The latest opposition initiative, the “Vote against all” campaign, could actually be a gift to United Russia, political analyst Evgeny Minchenko told Kommertant. The movement may attract 2-3 % of voters from the registered opposition parties – the Right Cause and the Communists. What is more, the invalid votes would be given to a winning party, he added.